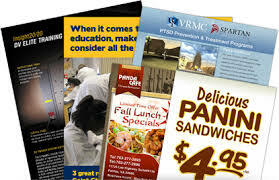 We offer a full range of printing services from business cards and brochures to custom signage solutions to meet your needs. We offer all types and sizes of printed material banners and signs. What separates Afinastar Printing services from the rest is our ability to print and to also design a project for you. Complete communication with our customers helps guarantee that we deliver the best possible combination of price, service, and quality as requested. We make it very easy to complete your project so tell us your needs and we can suggest cost-effective solutions and then we will make it happen for you, with little or no effort on your part. Our company is built upon the ideal of providing world-class graphic design and marketing services to all companies – not just those with the biggest budgets. Our goal is to provide services that put our team a notch above the rest. We provide these services with a huge passion. Why? Because we know our clients have a lot of options in selecting a company, and while providing exceptional design work is what is expected, providing over the top service is what builds lasting relationships and keeps our clients coming back again and again. Your company’s brand is its face to the world. 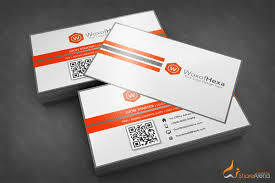 Effective branding presents your business in the way you wish to portray it. Branding consists of everything that differentiates your company from its competitors. Think logo design, font design, font choices, color combinations, brochures, or business cards—your brand needs to be cohesive both online and offline. Capturing and designing what makes your company different from others is what separates you from the rest. To learn more about our Logo, Print Design, and Brand identity services give us a call..
At Afinastar our dedicated team of professionals is ready to help create the best solution for your business or personal needs. Contact us today for a no cost or obligation consultation. Contact our friendly, knowledgeable Afinastar staff to discuss your project. Every job is different, so that is why we don’t post prices on our website. We don’t want to assume you know the latest choices of materials in our field so we would like to speak to you and go over your project needs to complete your project. Trust our professional staff to inquire about your needs before recommending a quality solution. This process does not take more time. We get it right the first time. 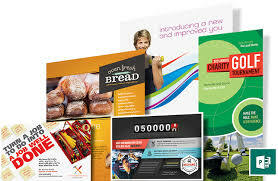 We also offer if you like just printing services If you choose to send us your project and just need it printed. We believe we are providing services that run the full gamut, from logo design to full corporate identity, complete print services, including large format and banner printing. We even do fine art. From advertising to website design, logo, web site, brochure, sign, print design and more Afinastar and our partner Laughing Lantern Design Studios is your one-stop for everything. We have one goal – to provide our customers and clients with superior graphic design and branding services that help our clients drive from sales, promotion and create memorable brands for businesses of all sizes or individuals. Afinastar and Laughing Lantern Design Studios is a firm fully capable of fulfilling all our clients business and creative needs. We know our stuff. Our team at Afinastar and Laughing Lantern Studios provides well thought out designs that make an impact and drive response. Unbeatable and cost-effective graphic design and printing services. Experience, creativity and efficiency are the cornerstones of our graphic design team. Whether we work from you own ideas or you are looking for new and fresh ideas with an all new perspective, we are the team for you. Our goal is to provide services that put our team a notch above the rest. Like helping a client with the small things that make a difference, taking time out to discuss new marketing ideas. We provide these services with a huge passion. Why? Because we know our clients have a lot of options in selecting a company, and while providing exceptional design work is what is expected, providing over the top service is what builds lasting relationships and keeps our clients coming back again and again.